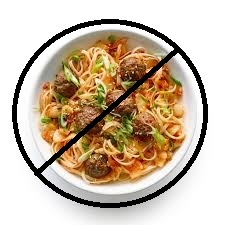 To many people, “Italian” food means tomatoes, garlic, and gooey melted cheese in the form of things like spaghetti and meatballs, garlic bread and veal cutlet parmesan. What may be common in Palermo might be rare in Milano. 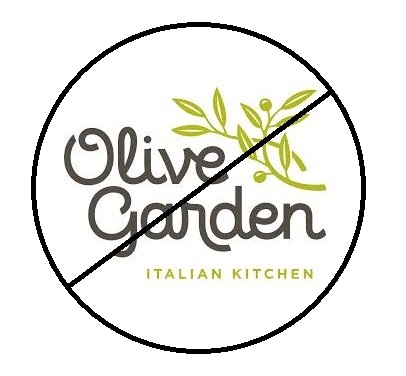 Types of pasta and sauces, aromatics, herbs and spices and preparation methods are so varied throughout the regions of Italy that America’s Olive Gardens couldn’t possibly keep up with it so they make up their own “Italian” recipes. “Italian” Spice – What exactly is it? 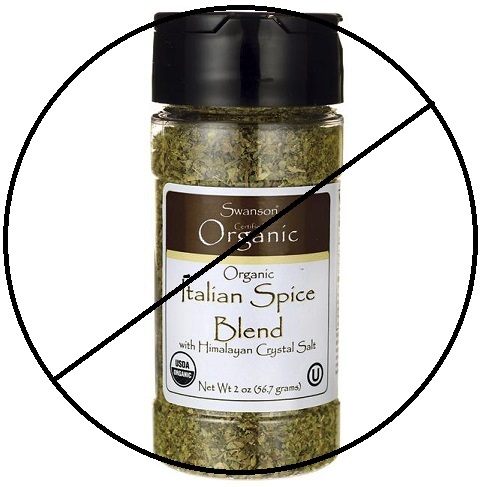 I see it often in recipes – “add one teaspoon of Italian spice.” Try Googling Italian Spice and you’ll find dozens of combinations of spices including everything from garlic and fennel to dill and basil. Keep it simple and use the spices that fit the other ingredients in your recipe and not somebody else’s mix of what they think tastes good. Try asking for Italian Spice in a store in Italy and they won’t know what you’re talking about. Use good, fresh ingredients and limit the variety of spices – more isn’t necessarily better. 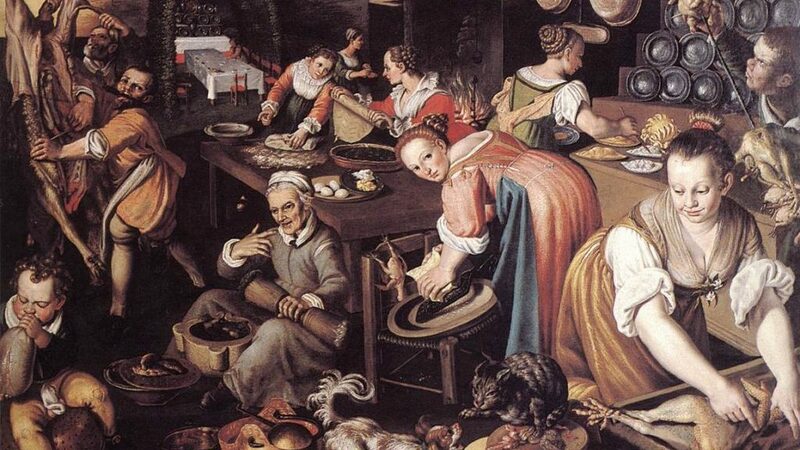 “Italian” Breadcrumbs – So what makes breadcrumbs Italian? It makes sense that they would be made from Italian bread but no, that’s not it. Read the ingredients – Niacin, Ferrous Sulfate, Thiamin Mononitrate (Vitamin B1), Riboflavin (Vitamin B2), Folic Acid], High Fructose Corn Syrup, Corn Syrup, Vegetable Oil (Soybean And/Or Cottonseed And/Or Corn And/Or Canola Oils. 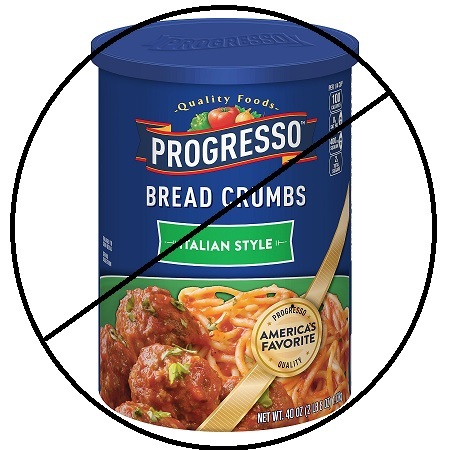 I’d rather have just breadcrumbs in my breadcrumbs. Season whatever it is that you’re going to bread. Coat it in flour, dip in an egg wash and then plain breadcrumbs. Fry it in good oil and leave out the chemicals listed above. 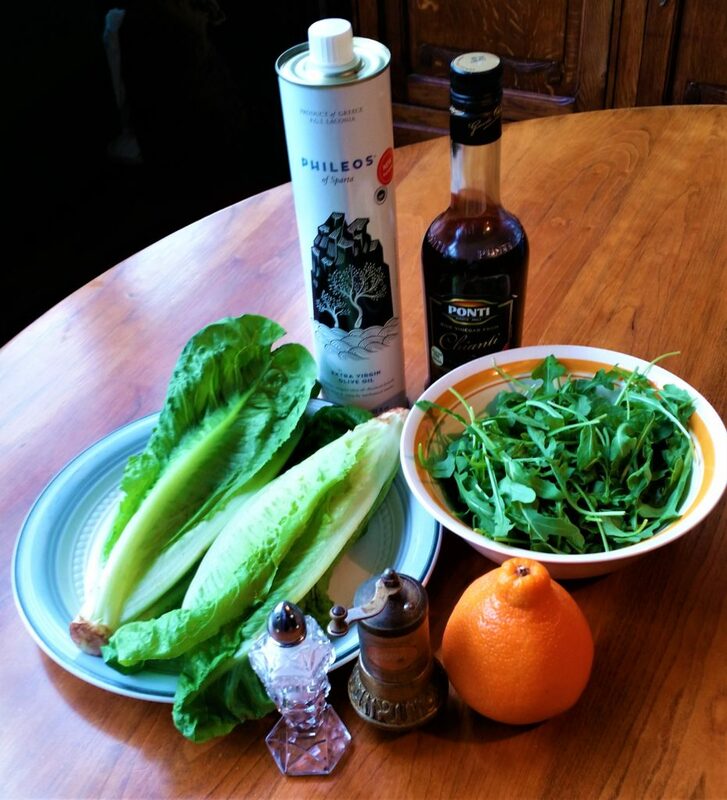 “Italian” Salad Dressing – This one is a lot like Italian spice. Everybody has something else to add. 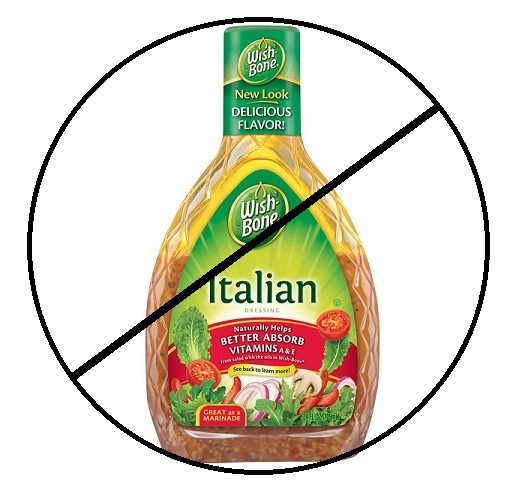 The Olive Garden actually uses Miracle Whip in their so-called Italian salad dressing. Miracle Whip – can you believe it? Here’s a simple version of dressing that’s common in Italian-American homes and in Italy too. Sprinkle salt and black pepper on the greens. Then a drizzle of olive oil and red wine vinegar (use balsamic if you like). Use more oil than vinegar. Toss and serve – that’s all. 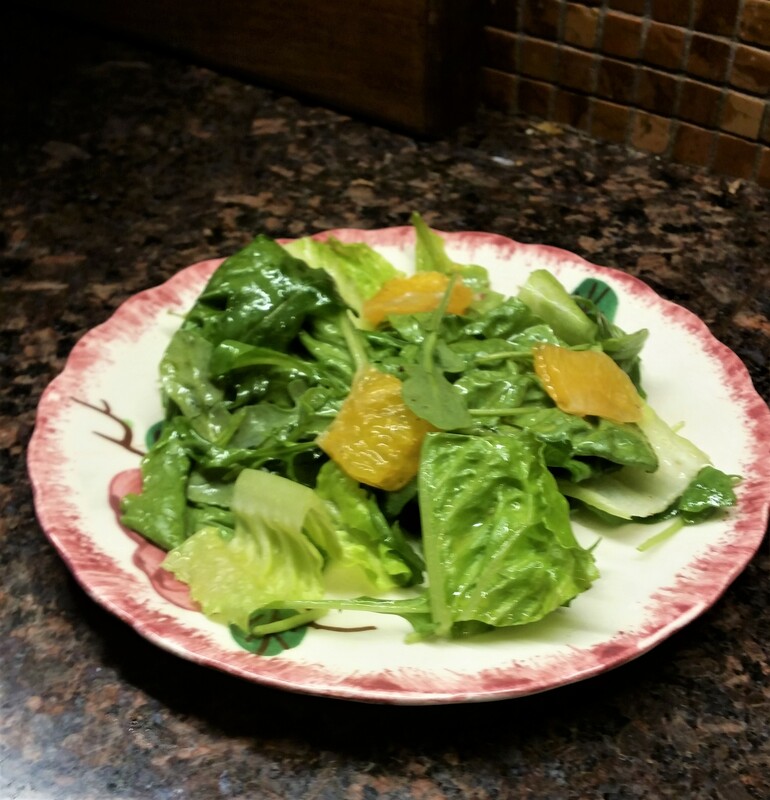 Try this simple dressing on some cut up orange sections with a mix of arugula and romaine. Summer Tomato Salad Aunt Caroline would pick the basilico and tomatoes in her Staten Island kitchen garden just before she made this Summer Tomato Salad. 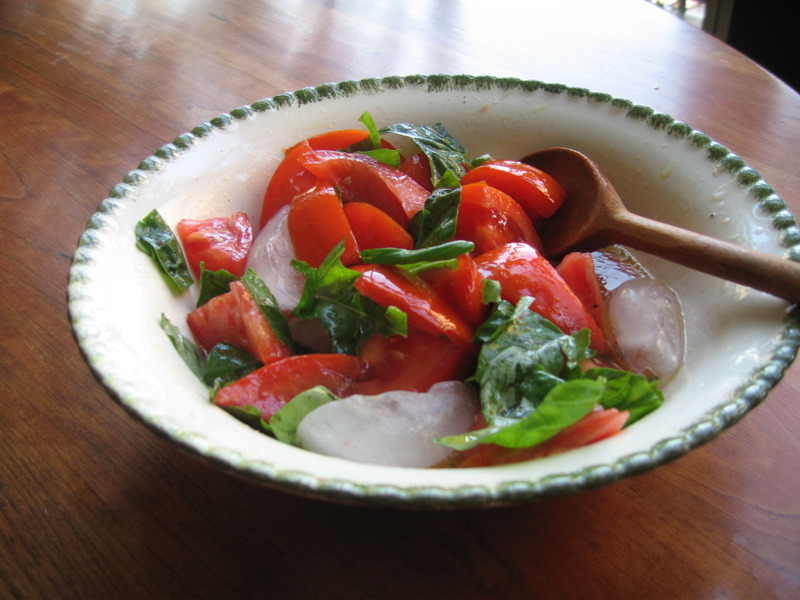 The ice cubes were necessary because the tomatoes would still be hot from the sun. Cut narrow wedges around the core, discarding the core. Cut each wedge in half and place in a serving bowl. Season with salt and pepper. Toss and let sit for 20 minutes. Before serving add the oil, basil and ice cubes, then toss again.